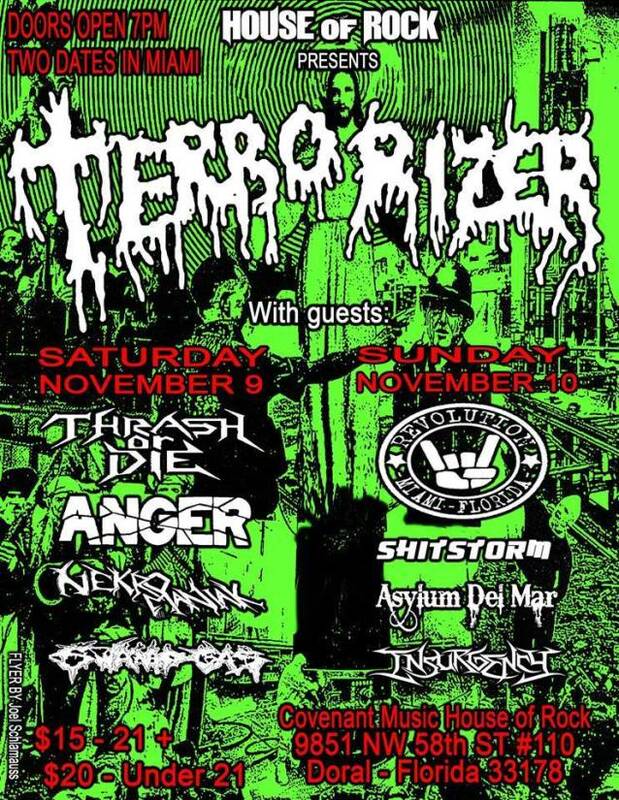 Video footage of TERRORIZER's early November concert at Covenant Music House Of Rock in Doral, Florida can be seen below. 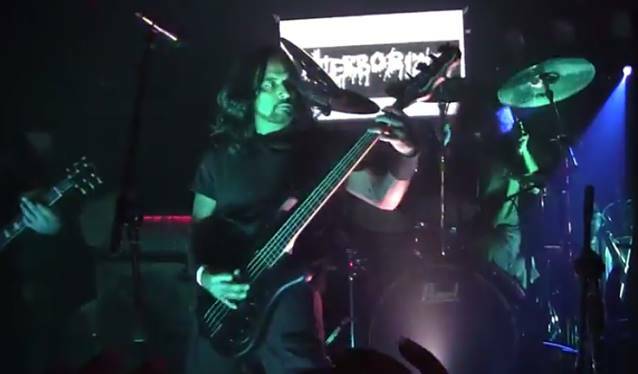 TERRORIZER celebrated the 24th anniversary of its classic album "World Downfall" with a lineup featuring Pete "Commando" Sandoval, Lee Harrison (MONSTROSITY) and Sam Molina. TERRORIZER's latest album, "Hordes Of Zombies", was released on February 28, 2012 via the French label Season Of Mist. Guitarist Jesse Pintado, a founding member and guitarist of TERRORIZER, died at Holland's Erasmus MC hospital on August 27, 2006 due to liver failure, only less than a week after the release of TERRORIZER's second album "Darker Days Ahead". His death effectively put TERRORIZER's future in question.